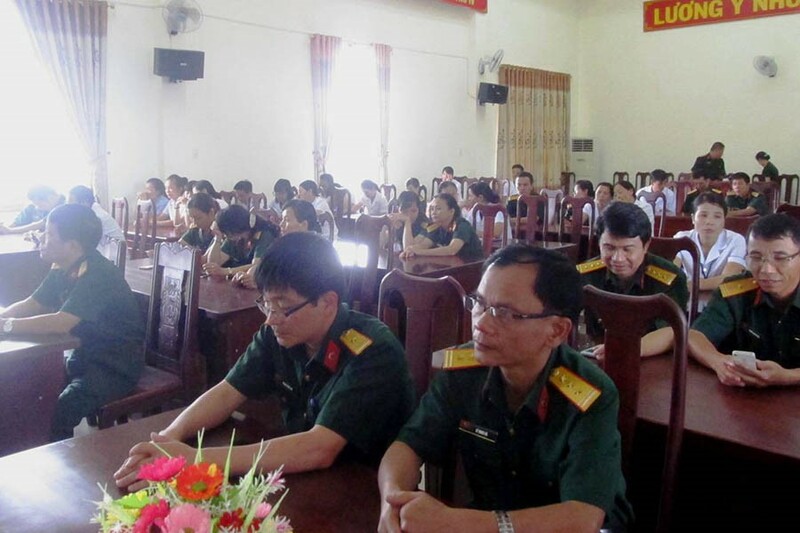 ​​​In operation since May 6-2015, Club (Club) "The family has no participation in pagan" Lo Pang commune (Mang Yang district) has made a strong turnaround in the perception and actions of people, contribute to maintaining political security in the province. 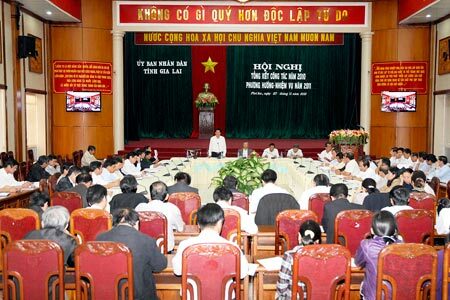 Ms. Dinh Thi Lan-chairman Lo Pang commune Women's Union, said: "Previously, the reactionaries take advantage of pagan" Ha Mon "for anti-state activities, distort the line and policies of the Party and State, making political security situation in the commune complicated. Especially, in the village of A 2 TB and there Rah Silk listened to incite people to do things wrong, such as supplies to the bad guys, unauthorized public meeting ... ". In 2015, the Women's Union led Mang Yang district, directing Lo Pang commune Women's Union established the club "The family has no participation in pagan" women in chapters 2 and Silk Lao village A RAH . Initially, the club members faced many difficulties due to the practice, educational level is low, only a few volunteer families gia.Chi infarction (Silk Village rah) said: "To see the report on the objects crossing, affecting family life, his family has been lobbying enrolling club not to be lured by bad guys, taking advantage ... Everyone participating clubs will also be more vigilant with respect strange object appeared around the village to maintain law and order in the locality ". However, Board Chairman of the club is not discouraged, persevere to each family advocacy, interpretation, citing the consequences of obeying incited by bad guys. Every month, the Club coordinated the work of the district, district police, Front ... organized communal activities, dissemination of information to members of the policy, the party line, policies and laws of the State State policy on ethnic, religious; simultaneously, integrate content registration campaign implementing "Building 5 no family, 3 clean", "Women join hands to build a new countryside", "All people unite to build a life residential culture "... The club activities are carried out with a lot of content, rich forms, in accordance with the local situation, are members of women and people responded positively. Thanks to these meetings practical, useful that some participants in the growing club, the audience listened to the wrong individual has voluntarily returned to reunite with family. Club members also monitor and grasp the situation in the village to the incident will have timely preventive measures. At the same time, the club also reflect the mind, the legitimate aspirations of the members of the commune authorities to consider and resolve. After more than one year of operation, to date, has 63 households in two villages and Lao Silk Rah A registration and commitment involved in the club "The family has no participation in pagan". Ms. Dinh Thi Lan-chairman Lo Pang commune Women's Union said: During the operation, the club has faced many difficulties due to low educational level, material life of the people is not high. In the future, we will continue to innovate the content and form of operation; at the same time, continue to enlist the support of all levels and branches to the operation of the club develop more effective.